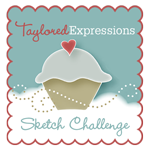 Welcome tot Day 2 of the Taylored Expressions Sneak Peek Release Week!! 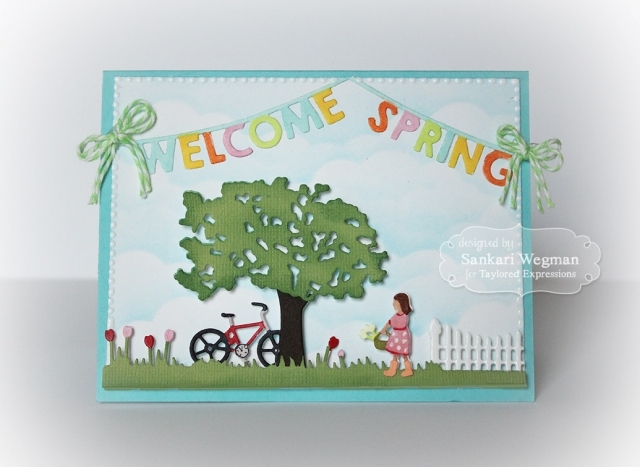 I love this months super sweet dies and stamps! 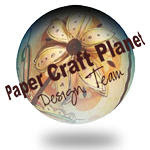 Today's project 2 Cards that I made using JUST DIES!!! 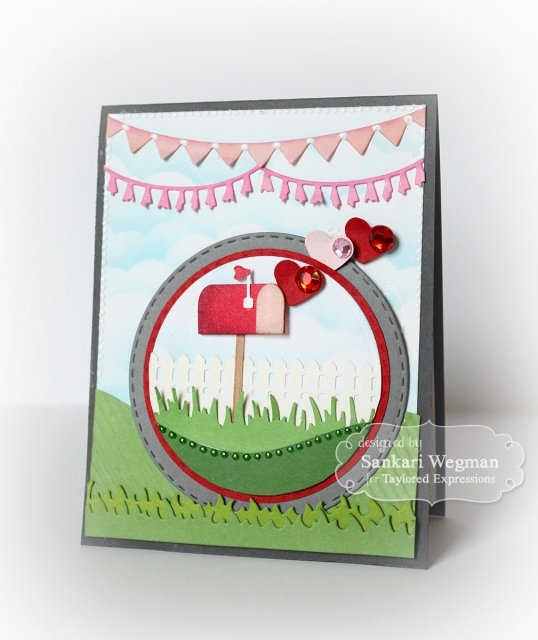 This first card uses the new Little Bits - Mailbox die that I made using all TE ties by creating a scene for this sweet little mailbox :) I die cut the pieces of the mailbox and then colored it with copics to create all the different colors in it --- I then created a little scene of hills and clouds (Build A Scene - Rolling Hills and Cloud Border die - with some Wispy Grass and Grass Border die) - loved making this!!! 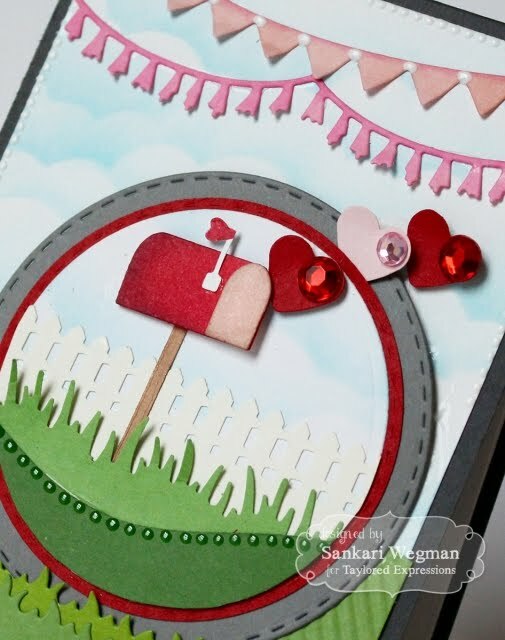 I added some Skinny Mini Party Border dies for a more festive look - and then added some hearts and bling come out of the mailbox... because why not!!! 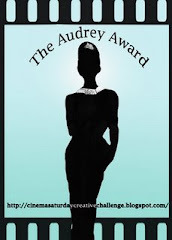 :) I loved making this!!! 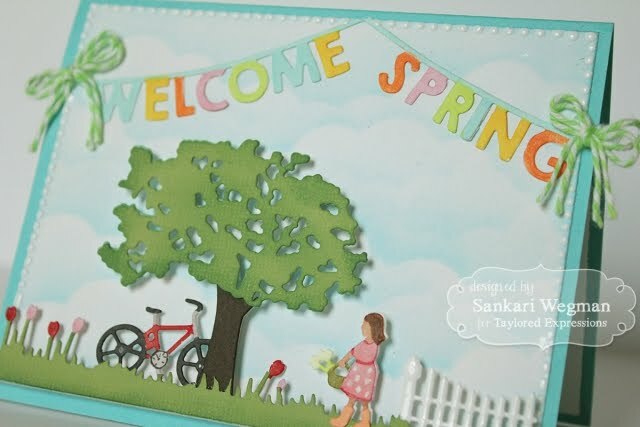 For my second card - I created one of my favorite cards in this release using the Into The Garden die - which is a border die that cuts this gorgeous scene - to this I added the banner: Welcome Spring and then colored it with different copic colors and added some twine to the ends - love how it turned out!